Mobility firm Ola, operated by ANI Technologies, will launch a self-drive car rental service in select cities in the coming weeks, the firm said on Thursday. It will offer the cars currently managed by its arm Ola Fleet Technologies, and plans to add new ones. Ola’s entry into the segment spells its ambition to diversify into new areas under the wider umbrella of mobility solutions. The firm is working to roll out electric-powered vehicles, has invested in Vogo for scooter rentals, and launched and grown ancillary services like Ola Play and Ola Money. “Ola is committed to building mobility as a service for India’s young and discerning consumers. Basis market feedback, we are piloting our Ola self-drive offering in various formats like rentals, subscription and corporate leasing in select cities in the coming weeks. This space is currently underserved and there exists a tremendous opportunity to build a superior experience through an integrated mobility platform like Ola,” the company said. With its foray into self-drive, Ola will go head-to-head with early entrants Zoomcar, Revv and a few others. Sequoia-backed Zoomcar, which counts auto-maker Mahindra and Mahindra as an investor, is the largest car rental service in India, and is said to have created the early demand for this segment. Sources said Ola has started pilots in Bengaluru and will initially launch the service in the city and Delhi-NCR. The offering will be later scaled to seven Metro cities including Mumbai, Chennai, and Kolkata. A total of 10,000 cars will be on offer, including luxury sedans and SUVs. The category will be introduced as Ola Self Drive, under a new tab on the Ola app. The firm is said to be working on different subscriptions plans for the new service, and is also building out a car-rental product for corporate customers. 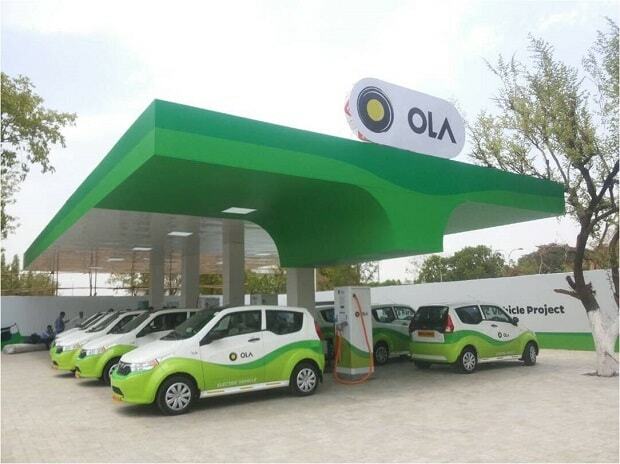 Ola Fleet Technologies was incorporated in 2015 to procure, manage and build a fleet of cars that can be leased out to driver partners associated with Ola. The captive leasing subsidiary has so far received over Rs 150 crore for operations from its parent entity.